Getting a car loan with no credit can be difficult, but it is not impossible. 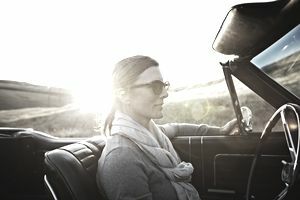 One of the most obvious things you can do to assist you in getting a car loan is saving up a down payment. The larger your down payment is, the better your chances of getting a loan. A down payment shows your commitment to the purchase and shows you have some hard work invested -- and let’s be honest: if you can’t afford even a down payment, why should anyone trust you with a car and a car loan, and all of the financial responsibilities those two things entail? Once you have saved up your down payment, however, you are ready to start your car purchasing journey, even if you don’t have any credit to speak of. To get a car loan without any credit, you’re going to need to do a lot of work to prove you’re a financial risk worth taking. Begin by gathering some documentation, next ask for help from family and friends, and finally, ask the bank or car dealer for a loan. It is important to have, at a minimum, all the documentation listed above. Credit history is not required to open a bank account, however, it will confirm if your account is in good standing. Utility and phone bills are also easily set up without credit history and can provide proof to the lender that you can pay a recurring bill on time. A source of steady income is also important. The longer you have been with a single employer, the better, because to shows the lender you can hold a job for the long-haul. Family and friends are a great place to start looking for help in financing a vehicle when you have no credit. If they do not have the ability to give you the full loan, it might be possible to have them co-sign on a loan. A co-signer is an individual other than the borrower who signs a promissory note and in so doing assumes equal liability for the debt. To put it simply, you are using someone else’s credit score to purchase your vehicle. The bill comes to you, but if you don’t pay, the cosigner is responsible for the loan -- and their credit will suffer if they don’t make the payments. Start at the bank or credit union where you have an active account. They will have easy access to your account history and will be more likely to give you a loan if you have a prior relationship with them. If you do not have a bank account, set one up as soon as possible. You are more likely to get a better deal at your bank than a car dealership. However, if your bank is unable to help you, try the car dealership. Whether you are at the bank or the car dealership, have the documentation you gathered from the list above ready to go. A car loan can be complicated to obtain without prior credit. Building good credit is vital for your financial future. With a little planning, you will be driving your new set of wheels in no time. Can You Really Get a Car Loan With No Credit Check? Students Need Car Loans Too! Is Your Credit Score Good Enough to Buy a Car? What Factors Into Getting the Best Car Interest Rate? What Happens to a Car Loan When Someone Dies? Is Your Credit Score High Enough to Lease a Car? Is It Possible to Get a Car Loan On a Salvage Title Vehicle?